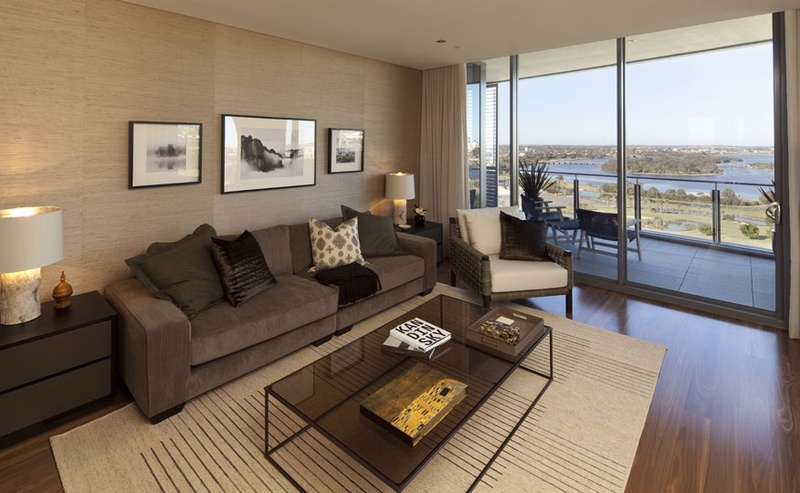 Aurora at The Peninsula, Burswood, designed by Coco Republic Interior Design, is located east of Perth and offers premium living only minutes away from Perth's centre. 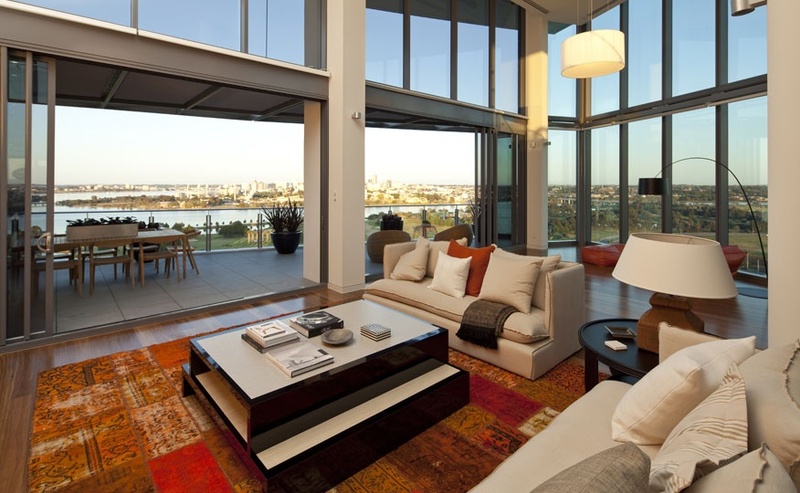 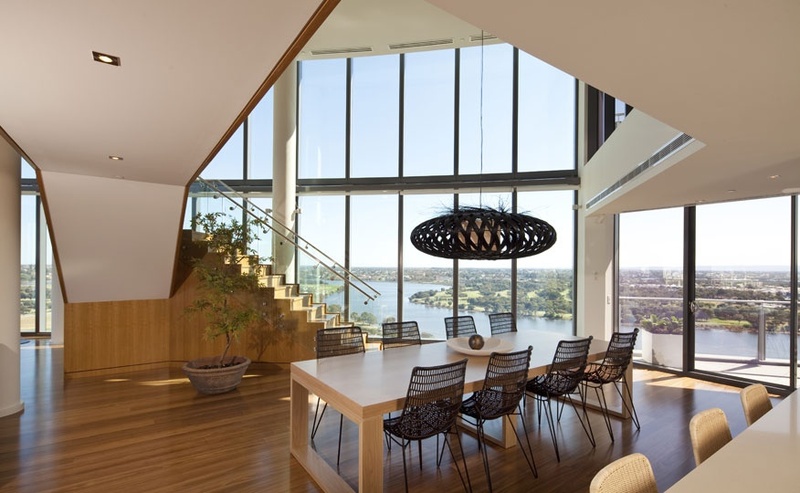 This roof top penthouse has astounding 300 degree views sweeping across Perth's skyline and river. This particular penthouse display was to target the upper end of the market and the furniture selections needed to suit this premium market. 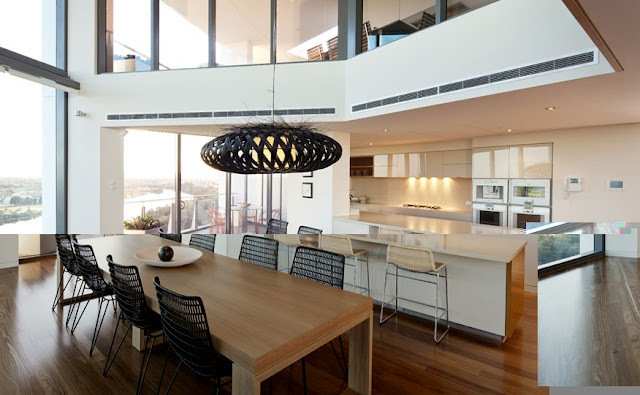 The strong, simple, lined furniture is sleek and contemporary and full of character.